Calling all horse lovers! 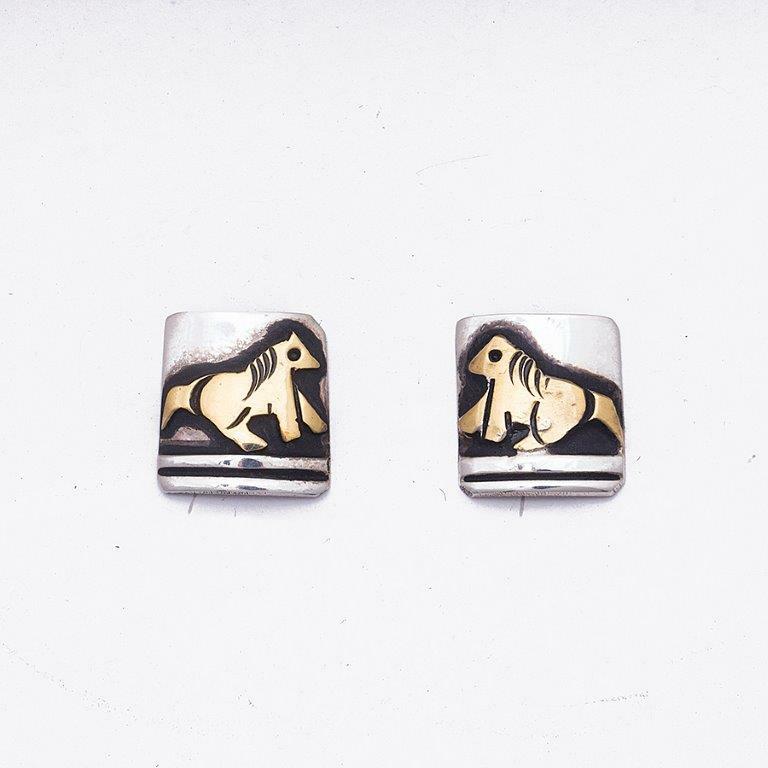 Imagine hearing the wild spirit of the horse right in your ear with these handcrafted Sterling Silver and 12kt gold filled earrings made by traditional Navajo Silversmith, the beloved late artist Tommy Singer. The image of the horse is significant to Navajo people beginning as early as the Long Walk to present times. Horses were, and still are a way of transportation, herding sheep, and being fantastic companions. We offer free gift wrapping with every purchase. Earrings measure 1/2″ in length by 1/2″ in width. Hallmarked “T. Singer” and “Goldcraft”. Earrings weigh 2.5 grams. 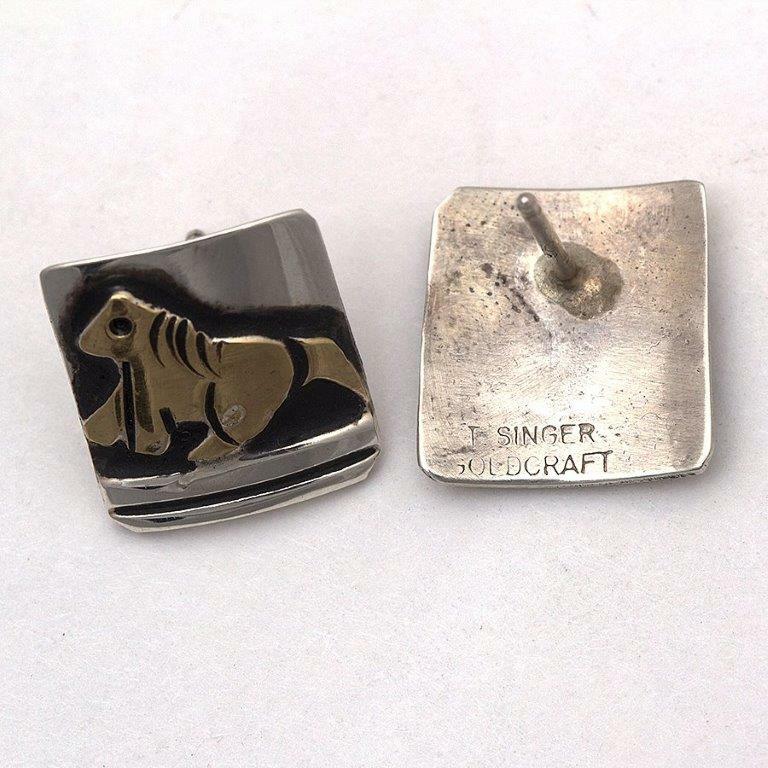 Navajo artist T Singer Horse Earrings feature the handcrafted traditional skill of late Navajo artist Tommy Singer to exemplify your great Western style!